Razz was the story of the day. One of the best stories of the 2014 World Series of Poker thus far was that event, which featured some big names in poker. And the final two left standing were Ted Forrest and Phil Hellmuth. The latter desperately wanted his 14th bracelet, while Forrest was ready to take down his sixth. Forrest was also gracious, taking the microphone after the match to bestow praises on Hellmuth. Meanwhile, Brandon Cantu, who exited earlier in that tournament, had a visibly frustrating day. He then launched into a confrontation in the Rio hallway with Jeffrey Lisandro, resulting in Cantu being escorted off the property. Lisandro later revealed that he vouched for Cantu with regard to a loan that Cantu is now in trouble for not paying back. Lisandro alluded to a gambling problem with regard to Cantu. 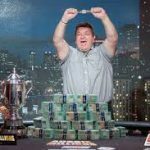 The other news of the day was that Humberto Brenes, Team PokerStars Pro and Costa Rican poker legend, cashed in his fourth tournament of the summer. He has only played four events thus far. Jared Jaffee was the first player to exit, and the eventual elimination of Colin York in tenth place set the official final table, at which point Dimitar Danchev had the chip lead. 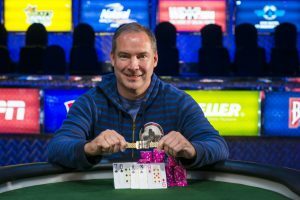 The day’s original chip leader, Steven Loube, left in fifth place, and Josh Arieh was denied a third WSOP bracelet when Alex Bolotin eliminated him in fourth. Danchev took care of Jon Lane in third place, but it was Bolotin who took the lead into heads-up play. The battle was intense, but Bolotin came out on top with K-8 over Q-J to claim his first bracelet. Day 3 brought a final table of eight back to the Rio. Brandon Cantu took quite a few hits early on and exited in seventh place. Brock Parker followed, as did David Bach. Hellmuth soared and led three-handed play, ultimately eliminating Greg Pappas in third. He took 1.06 million chips into heads-up against Ted Forrest, and the latter climbed into the lead. Hellmuth recovered, and the two played for several hours before Forrest claimed his sixth WSOP bracelet. Day 2 began with 1,466 players, and nearly 600 of them departed in the first two levels of the day. 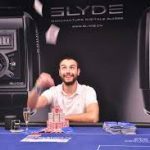 The bubble was a hectic situation with so many tables in play, but the staff started hand-for-hand at just the right time. One hand later, two players were eliminated at the same time, and Anthony Harb and Jeff Dumas split 819th place money for $2,692 each. Payouts were fast after that, with 100 players exiting within the next half hour, prompting the staff to call an early break to catch up. Players like Matt Glantz, Mike Sexton, and Loni Harwood headed to the cashier cage, and play continued until only 178 players remained. Event 8 will play down as far as possible but will likely not finish the tournament as planned. Events 9 and 10 will play toward their final tables. Event 11 ($1,500 NLHE Six-Handed) begins at noon as the only new event of the day. 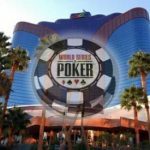 Editor’s Note: Cardschat.com reporter Jennifer Newell is on site in Las Vegas, and will be offering daily news recaps throughout World Series of Poker 2014. 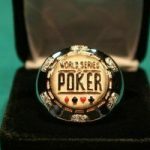 Check back here daily for a detailed accounting of events, exclusive interviews, and anything of interest regarding WSOP.